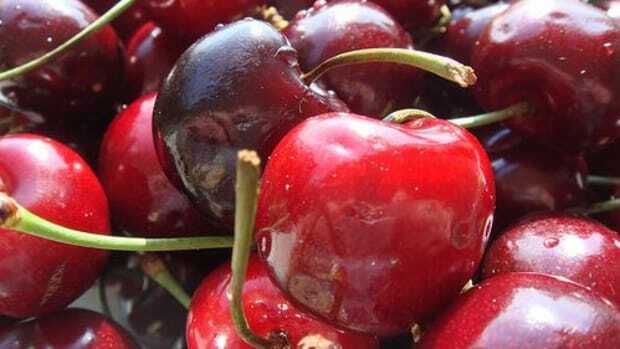 Glorious summer brings cherries galore, and like most fruits and vegetables, when the price is lowest on cherries, their flesh is sweetest and the juices more likely to dribble down your chin and put a smile on your face. 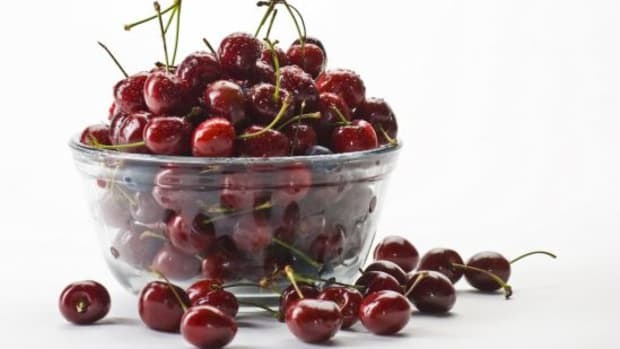 Loaded with anti-inflammatory flavonoids, fiber and only 87 calories per cup, cherries are a smart snack any time of day – but these plump little wonders also work well in dishes you might not expect, like appetizers, sauces and salads. 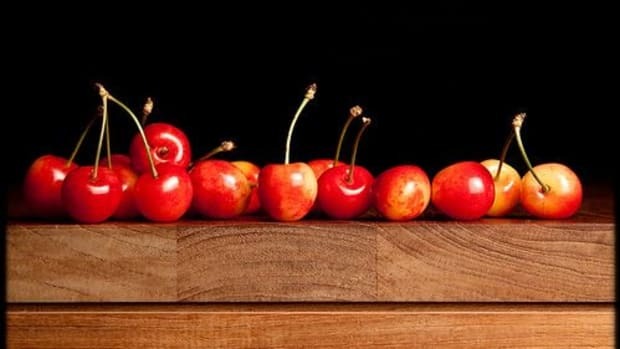 Life is indeed a bowl of cherries – and if your bowl of cherries is overflowing, try one of these creative recipe ideas. 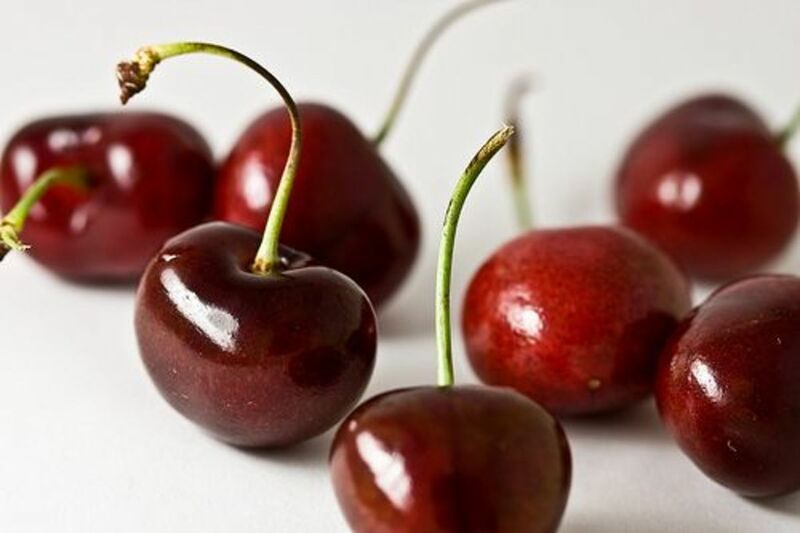 To make pitting the tiny fruits easier, either 1) use a cherry pitter or 2) work with a very small paring knife or 3) press each cherry stem-side down into a metal pastry tip – the seed pops right out! Appetizer: Cherry, Ricotta & Orange Zest Crostinis – Combine 1 ¼ cups pitted sweet cherries with one tablespoon of brown sugar and let macerate for ten minutes. Mix together ½ cup fresh ricotta cheese with 1 tablespoon grated orange zest. Brush the tops of several small slices of rustic bread with extra-virgin olive oil, then toast at 375 degrees until golden brown. Spread each slice with the fruity ricotta cheese mixture and top with cherries. 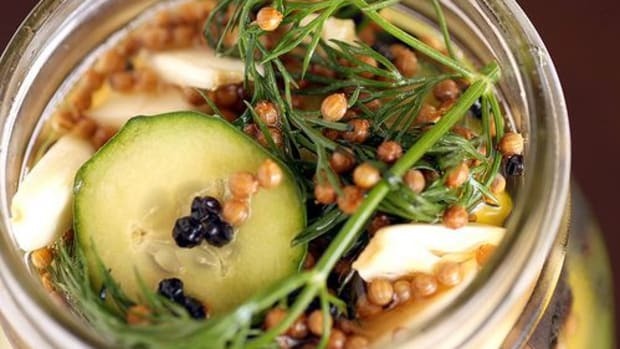 Garnish with additional orange zest, and serve with a bright white wine for an ideal summer appetizer. Lunch: Cherry Chicken Salad – Fresh cherries add a zing and a burst of flavor to good ol’ chicken salad. Start with two cups of cooked, cubed organic chicken. Add four sliced green onions, ¼ cup Greek yogurt, ¼ cup mayonnaise or veganaise, one tablespoon of lemon juice and salt and pepper to taste. Stir well, and then add in ½ cup of pitted, halved cherries. Mix everything together lightly, and then serve on croissants (or whole-grain buns) along with a slice of leafy green lettuce. 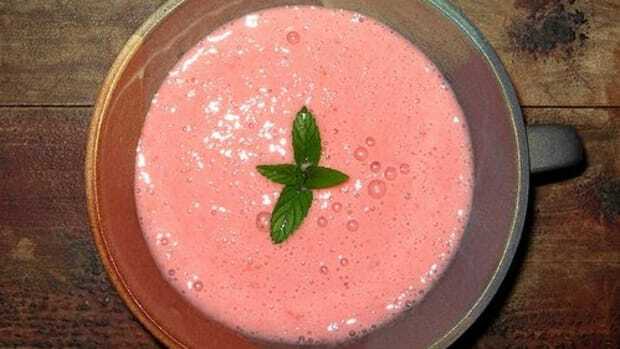 Sauce: Easy Sweet & Tart Cherry Sauce – The flavor combination in cherries makes them a fine match for white meats. Try this tangy sauce to enliven your next plate of grilled pork chops or roasted chicken. First, stir together a mixture of ¼ cup water and 2 teaspoons cornstarch. 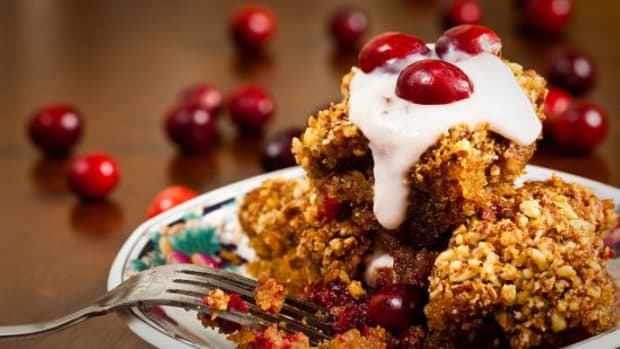 Next, melt one tablespoon of butter in a small saucepan, and then add 2 cups of fresh pitted cherries and ¼ teaspoon of cinnamon. Stir while cooking over medium-high heat for two minutes, then add the cornstarch mixture and cook just until everything is thickened. Remove from heat and serve immediately or store in the refrigerator for later use. Salad: Cherry Balsamic Salad - Balsamic vinegar pairs with fruit in a way that brings out a mature, engaging flavor and cherries are no different. Simply macerate a bowl of pitted dark cherries in your favorite organic balsamic vinegar for 10-15 minutes or longer, then add to your favorite tossed green salad. You won’t need any other dressing; this bright salad topper will wake up your greens with a sweet and sour punch of taste. 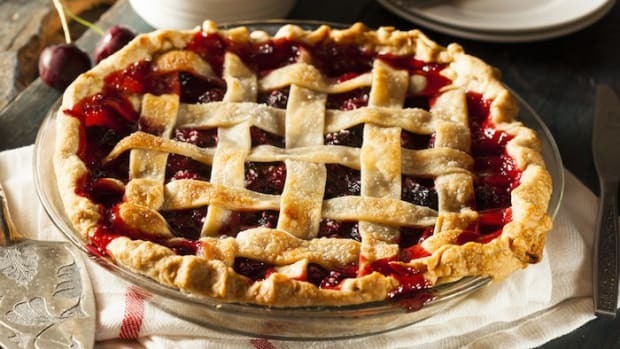 Dessert: Cherry pie, cherry cheesecake, cherry tarts, cherry cobbler – this fruit is a dessert powerhouse. But with all the succulent sweetness and seasonal flavor, you can avoid all the butter, sugar and added calories by keeping things simple. 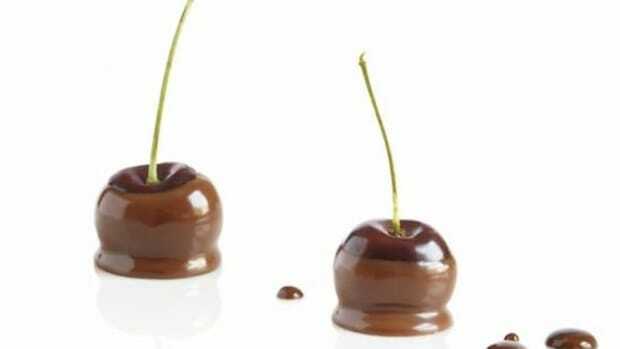 Macerate cherries for a few minutes in your favorite liqueur (brandy, rum or maraschino work well) or even your favorite wine, and then enjoy over top-shelf vanilla ice cream with a handful of sliced almonds. Delicious!